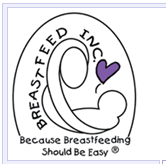 A full-service electric breast pump is piston driven and most closely imitates the rhythmic sucking action and pressure of a nursing baby. In most women, it quickly stimulates the let-down reflex, making the milk available for expression. Full-service electric pumps are convenient and efficient and are usually the best choice if breastfeeding must be delayed after birth, if breastfeeding is suspended temporarily as with a seriously ill hospitalized baby or mother or if a mother will have regular, lengthy times away from her baby, for example, if she is employed or a student. Although electric pumps are expensive to purchase, they can be rented for a reasonable fee. A new hospital grade electric breast pump from Ameda/Egnell offers mothers state-of-the-art features combined with the effectiveness and reliability of the large pumps of the past. Weighing less than six and one half pounds, the Egnell elite breast pump offers infinite suction settings to 250mmHg, the ability to cycle the pump as quickly or as slowly as the mother wants between 30 and 60 cycles per minute, incorporates double bottle holders for helpful convenience, and is available with an integrated battery that can provide up to 60 minutes double pumping time at maximum suction. The ultra-quiet sound of the piston motion relaxes the mother and is not intrusive to pumping success. Accessory kits are needed for use with hospital-grade pumps. Some electric pump accessories allow the mother to pump both breasts at once, cutting pumping time in half. Only the Ameda/Egnell HygieniKit prevents milk back-up and provides complete patient separation from the suction source. If milk spills, pumping does not have to be interrupted to clean and dry overflow devices or filters. • The One-Hand Pump, with its unique design, introduces a new generation of breast pump technology. Energy efficient because only strong hand muscles are used for operation, if offers comfort and effectiveness. Women are instantly able to vary suction strength and length to match their own baby’s sucking pattern. One-handed use allows pumping while baby’s nursing and makes double pumping possible with the use of two pumps. Its easy attachment to a milk storage bag makes collection and storage of milk a simple process. 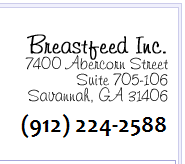 • A manual or hand-operated breast pump may be all that is needed for pumping when a mother is separated from her baby for shorter periods of time. Type and quality vary widely in this category of pumps. The most commonly available are pumps designed as a set of cylinders which cause suction as they are pulled apart. • Small electric pumps range from the good to the very bad. Most are suction-only devices and the length of time needed to reach adequate suction is excessive in post models. One especially good model can also be converted to double pumping.